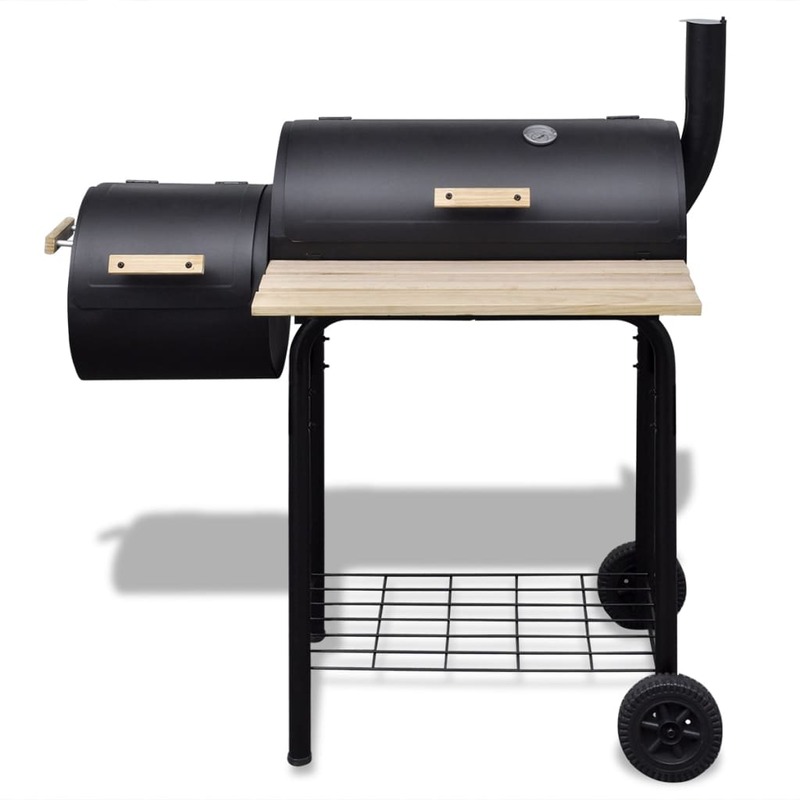 This smoker, consisting of generous cooking chamber and robust side firebox, allows you to conveniently grill, smoke and flavour your food. 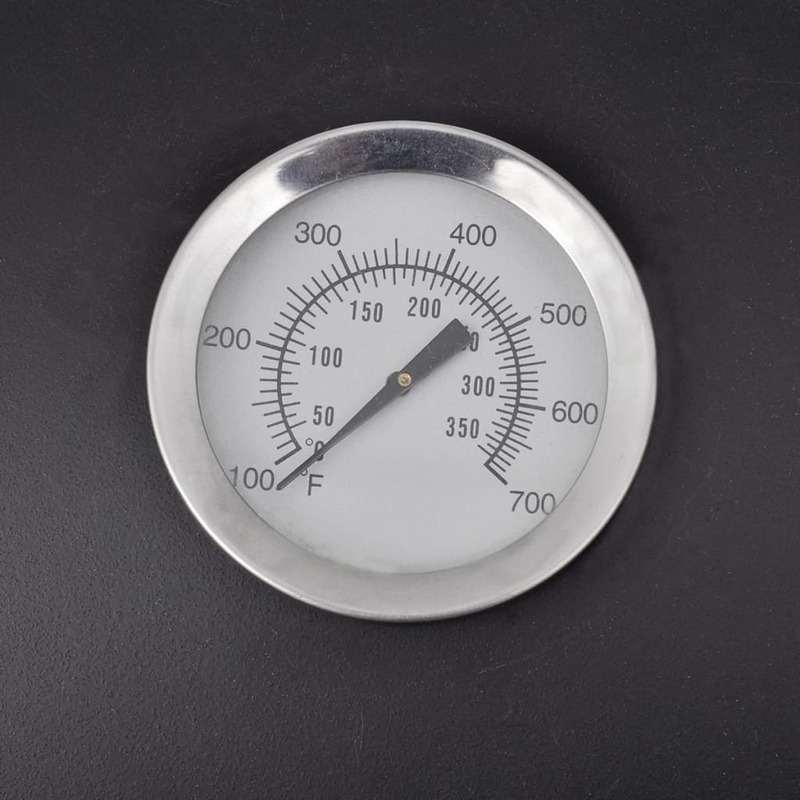 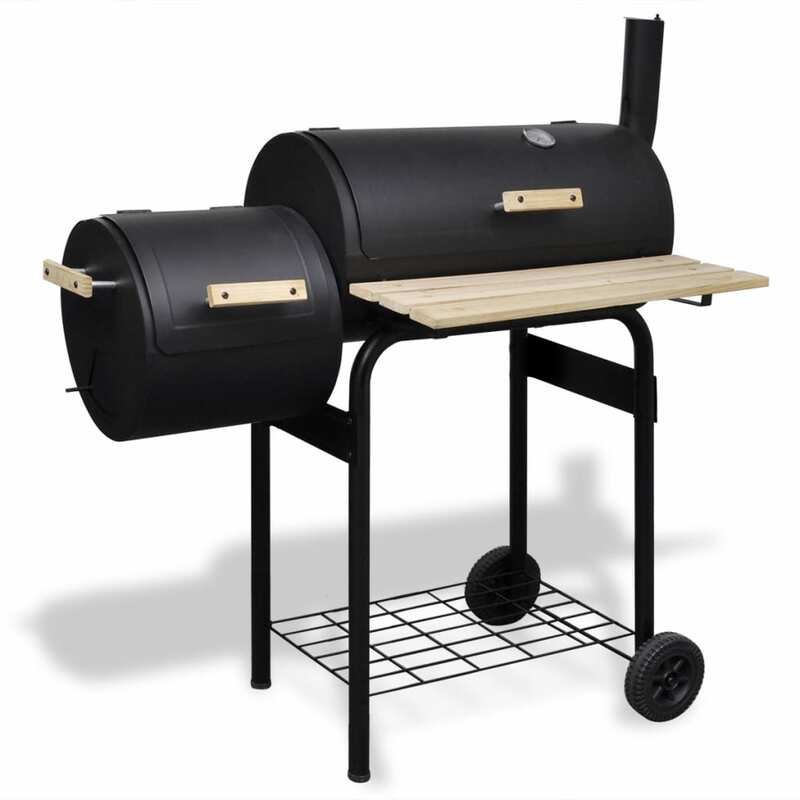 The perfectly sealed, thick metal body gives our smoker excellent heat retention and heat distribution characteristics. 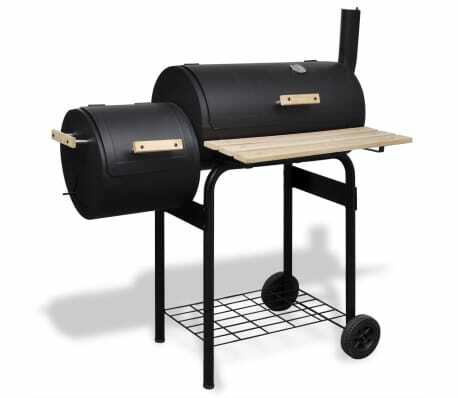 The air outlets will help you adjust the air flow while the smoke stack damper controls the amount of smoke. 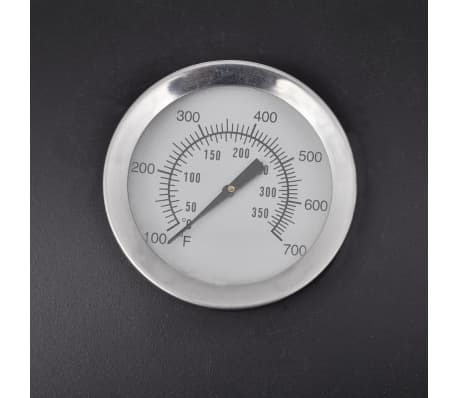 You can monitor the temperature in the chamber with integrated thermometer. 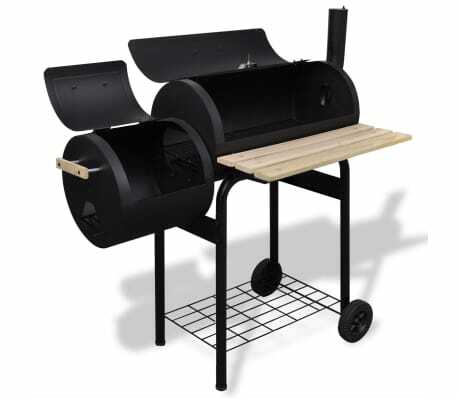 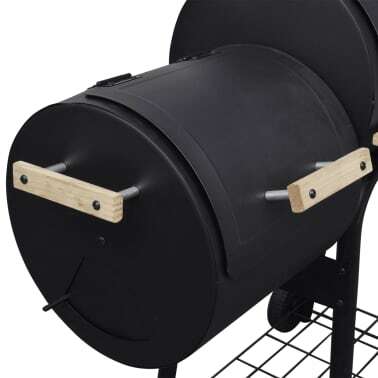 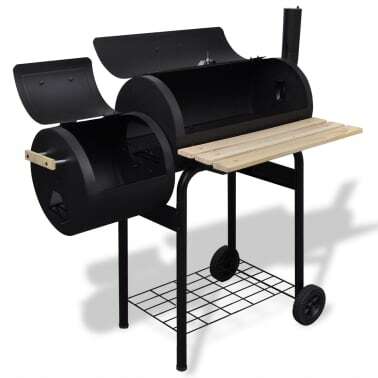 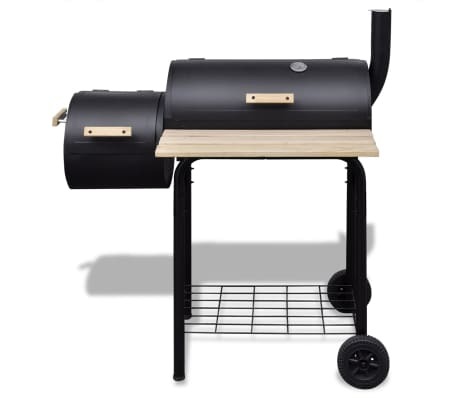 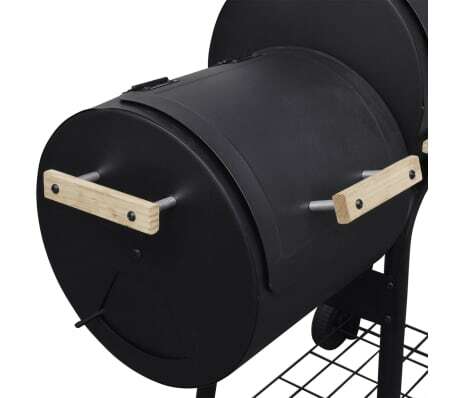 The smoker also contains a shelf in front and storage shelf below where you can place spices, ingredients, utensils and other barbecue essentials. 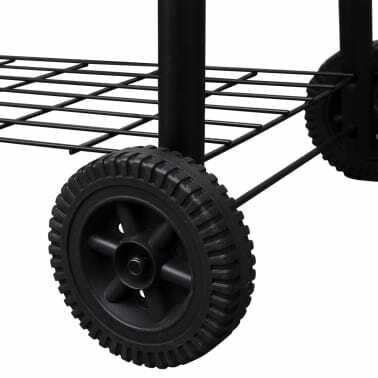 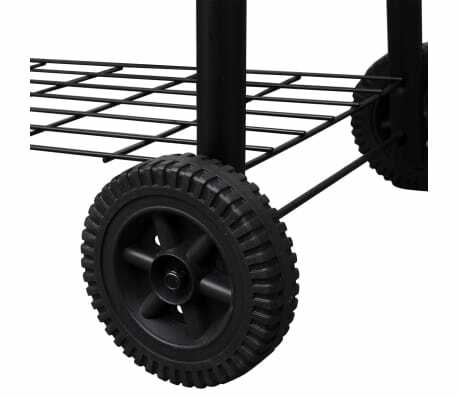 Equipped with 2 wheels, it can be easily moved around for outdoor parties, picnics and gatherings.